©2019 The Chronicles of B | B. Rank. All rights reserved. J loves banana bread. I love banana bread. It seems that I’m always making banana bread whenever I buy bananas. That’s because the darn bananas don’t last long and by that I mean they get brown spots really fast. 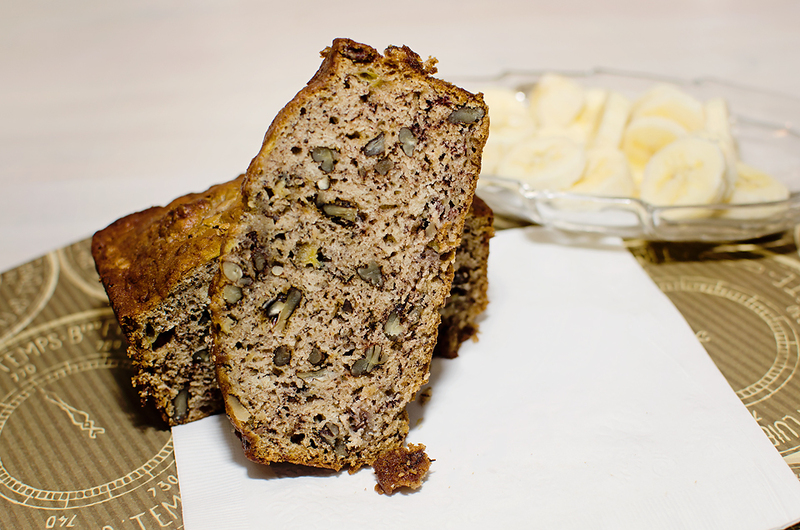 The upside to quick ripening bananas is banana bread. Turning a problem into a delicious solution yay! I love this type of recipe because it’s quick and it deosn’t make more than we can eat. Baking a layer cake is fun and I enjoy it but that leaves us with too much cake. We love cake but we just can’t eat it fast enough and end up wasting a good portion. I just started looking into smaller batch recipes for cake batter. Maybe I have to graduate to making batter by the cup and not just a standard 8-inch double layer cake. Smaller cake size would allow me to practice decorating without having to toss half a cake in the bin. The recipe I use is from Simply Recipes. I altered it slightly by adding 1/4 tsp cinnamon and 1/8 tsp. nutmeg. The recipe calls for 2-3 ripe bananas. I used three for each loaf. The loaf pictured also has 1 cup of chopped pecans. Because it disappeared with a quickness I baked a second loaf. Left the pecans out of it and I actually liked it better. Quick, easy, small batch recipe that makes the house smell amazing? Yes please!